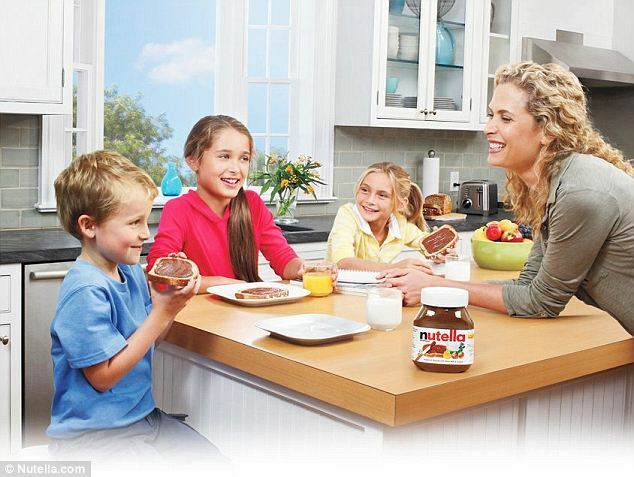 Home Tags Posts tagged with "healthy breakfast"
Athena Hohenberg’s quest make Nutella pay for advertising their hazelnut spread as a “nutritious” part of a “healthy breakfast” has yielded millions in rewards. Ferrero U.S.A. Inc., an affiliate of Nutella’s Italian-based parent company, has to pay $4 to every person who purchased a jar of their chocolate treat between January 1, 2008 and February 3, 2012 in the entire country United States, a California court has ruled. San Diego mother Athena Hohenberg said she was “shocked” to learn that the food she was feeding her family was not, in fact, “nutritious” but contained “dangerous levels of saturated fat”, her complaint alleges. Athena Hohenberg and her lawyers went on to claim that Nutella intentionally presents their product as part of a “balanced breakfast” and features happy, healthy families enjoying it alongside fruit and whole wheat bread. In reality, just two tablespoons of Nutella contain 200 calories – 100 of which come from fat. That’s the same as eating a Three Musketeers candy bar for breakfast. These high levels of saturated fat and other sugary ingredients “significantly contribute to America’s alarming increase in childhood obesity” and can cause type-2 diabetes, heart disease, and other “serious health problems”, the suit claims. Athena Hohenberg demanded that Ferrero be forbidden from advertising Nutella as “healthy” or “nutritious” and refund all the money they earned from a “fraudulent campaign”. In one TV commercial, a mother muses to herself about the perils of preparing breakfast and how Nutella comes to the rescue. “Breakfast? In this house?” a blonde mother opines from her kitchen. Citing photographs and commercials like this as proof, a court sided with Athena Hohenberg and awarded her class-action suit $3million. As part of the settlement, anyone in the United States who purchased Nutella between January 1, 2008 and February 3, 2012 (between August 1, 2009 AND January 23, 2012 for California residents) can file a claim and join in the class action rewards. People can claim their purchases until July 5, 2012 and expect $4 for a single purchase and up to 5 jars for a maximum award of $20 per household. Ferrero also has agreed to modify the Nutella label, certain marketing statements about Nutella, create new television ads, and change the Nutella website.